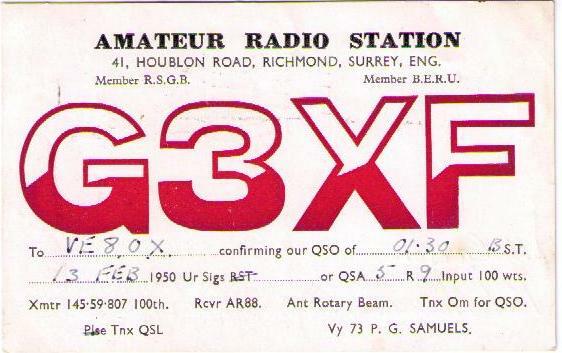 The card pictured above was mailed from Richmond, England, on July 20, 1950 and addressed to "Amateur Radio VE8OX', c/o Eastern Arctic Patrol, Ottawa, Ontario, Canada. This article discusses how the card was delivered and provides information about the settlement to which the card was sent. 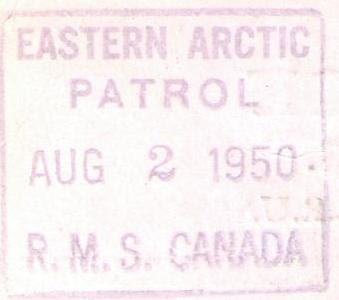 The Eastern Arctic Patrol ship made an annual voyage through the Eastern Arctic area (until 1963) , leaving Montreal in July for Churchill, Manitoba, and returning to Quebec City by early October. The patrol called at isolated settlements, supplying goods and personnel, performing scientific tasks, administering justice, dispensing medicine and transporting Inuit to and from hospital and between settlements. 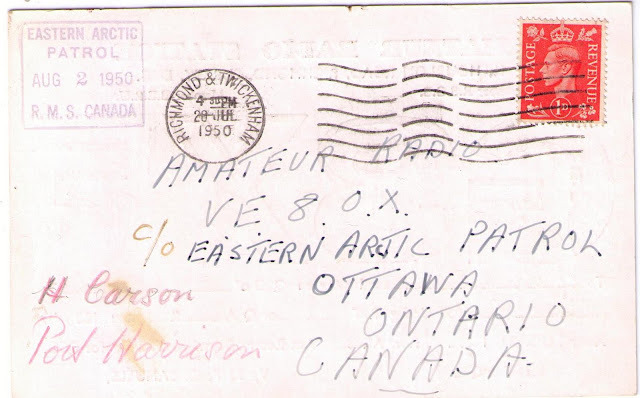 Mail matter for residents in the Eastern Arctic was centralized at Ottawa, Ont. The mail was despatched the third week of June for connection with the patrol vessel at Montreal, and the first week in August for connection with the vessel at Churchill, Manitoba. 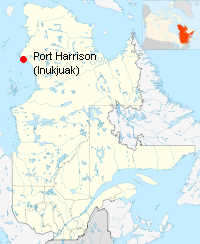 Port Harrison (now Inukjuak) is an Inuit settlement located on Hudson Bay in the Nunavik region of northern Quebec. In the early 1900s a fur trading post was set up. In 1927 an Anglican mission was established, followed by a post office and RCMP detachment in 1935, a nursing station in 1947, and a school in 1951. In 1953, the Canadian government relocated some of the area's inhabitants to Resolute and Grise Ford- then in the Northwest Territories, but now part of Nunavut — as part of a plan to establish a "Canadian" presence in the High Arctic and assert its sovereignty. This caused families to be split up and relocated persons faced hardships in the much more severe conditions of the far north. I have written a article dealing with the Grise Ford relocation on my Canadian blog. It can be accessed HERE. The Port Harrison Post Office was renamed Inukjuak in 1981. The card was likely despatched from Ottawa to Churchill, Manitoba, at the beginning of August for connection with the Arctic Patrol ship on its return trip. You have provided very good information through blog and it is very important. I was searching for similar information for a long time, which is received through your blog .